Ugh… How can a city with so much potential, momentum, and energy get things so wrong sometimes? This afternoon, the Seattle City Council approved driver limits on app-powered ride sharing services like UberX, Lyft, and Sidecar. The final decision from the council comes after a similar decision from the city’s committee charged with oversight of taxis. One positive thing: the vote did make these operations legal under the City law, giving them a path toward recognition and acceptance (after they fulfill certain requirements). Why should hard-working people who want to earn money doing something they like get told by the city when they can and can’t work? Why should the city dictate business and consumer choice? 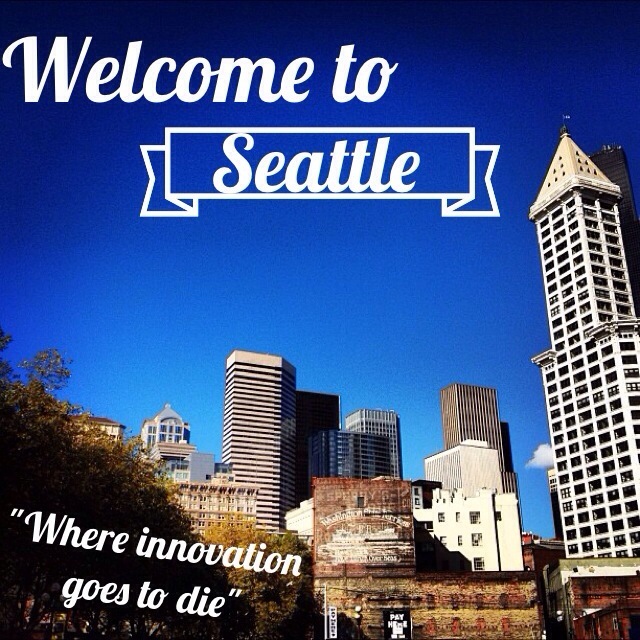 Seattle is a beacon for some of the brightest minds around… which could very well change if the City Council makes a habit of siding with dinosaur-like industries which refuse to adapt to the times and offer less-than-desireable consumer experiences. What’s next, the City Council takes on Airbnb to make sure the city’s hotels have higher occupancy rates? How about limiting the number of email addresses operated in the city to create more work for letter carriers? Insist Apple sells iPhones sans calculator apps to help the struggling calculator salesmen of Puget Sound. How can Seattle simultaneously push ahead for marriage equality, higher minimum wage, and marijuana law reform, but at the same time reward and protect an industry that literally hasn’t upgraded their way of business (except for the new Crown Vics) since the ’50s? How can we hope the next Airbnb, Spotify, Zillow, or Snapchat is started in Pioneer Square, South Lake Union, or Georgetown while we let our City Council restrict choice and limit technology and innovation?